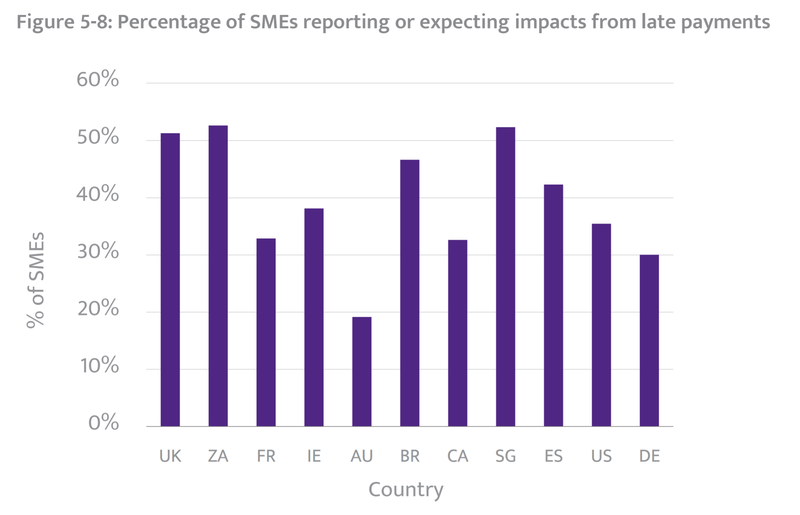 In 2017, Sage published a study on the effects of overdue payments on Small and Medium Enterprises (SMEs) – “Domino Effect: The Impact of Late Payment”. The study was conducted over 3000 companies across 11 countries. The purpose of this study is to understand the scale of the issue, the way overdue payment affects companies and to identify possible solutions to reduce the problem. According to the research, more than 50% of SMEs in Singapore are affected by overdue payments. 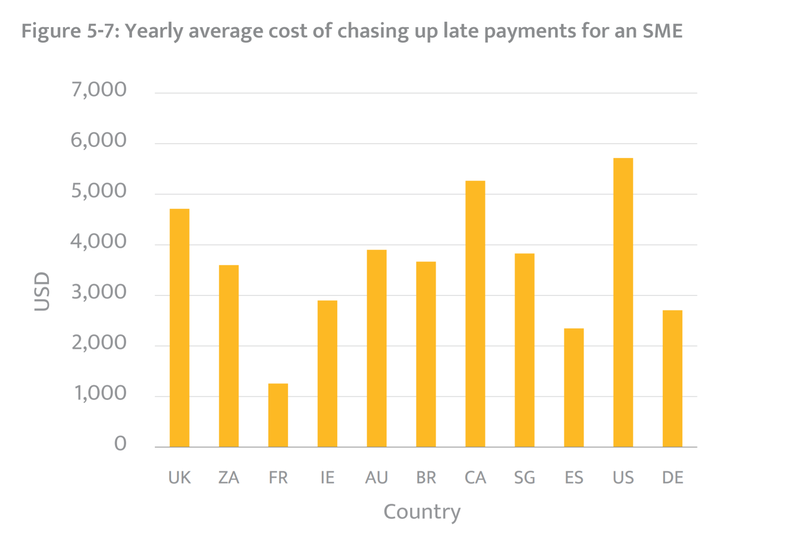 Late payment has always been a significant problem for SMEs around the world. 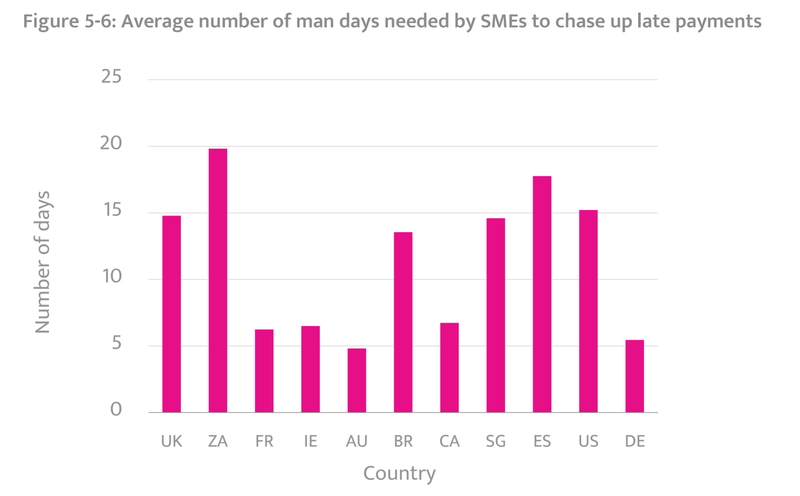 Singapore SMEs are facing the highest percentage (18%) of their invoice being paid late. 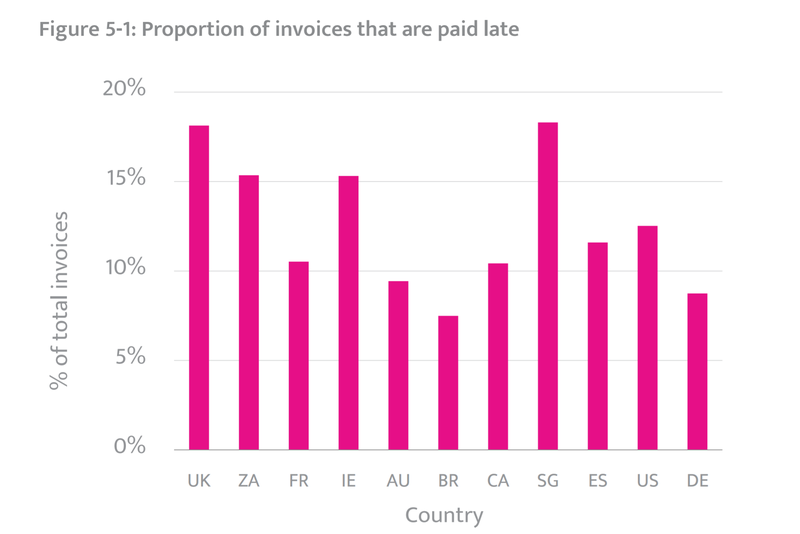 2. Who pays the invoices late? 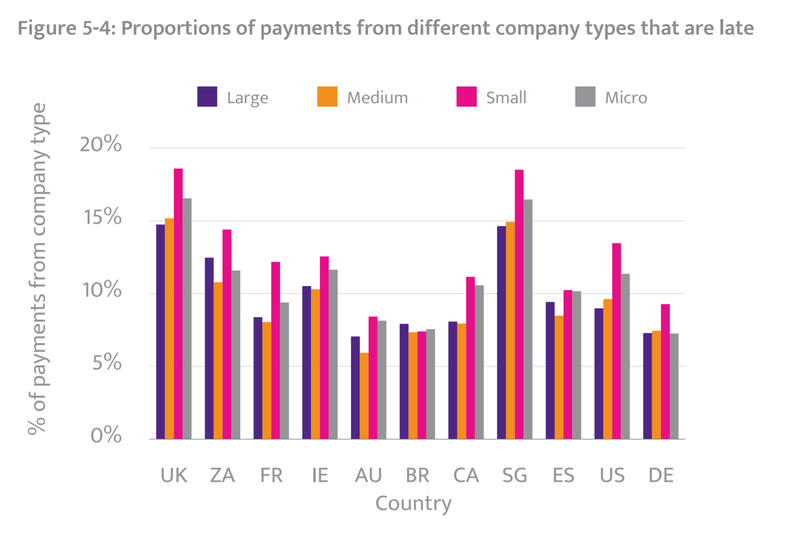 Further research was done to find out what percentage of late payments received by SMEs was contributed by each company type. In Singapore, most of the overdue payment received by SMEs are made by other SMEs (~33%). The next large contributor to overdue payment received by SMEs in Singapore are micro companies (~16.5%) followed by Large corporations (~15%). Majority of the overdue payment received by SMEs are made by other SMEs. This is a vicious cycle as when SMEs are paid late, this would hinder their ability to make payment to their suppliers on time due to their lack of cash flow. 3. 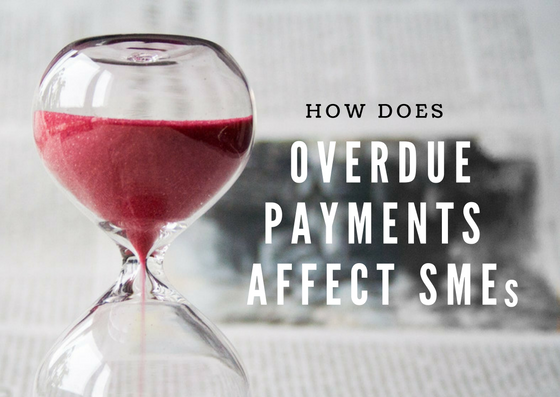 How does overdue payment impact SMEs? 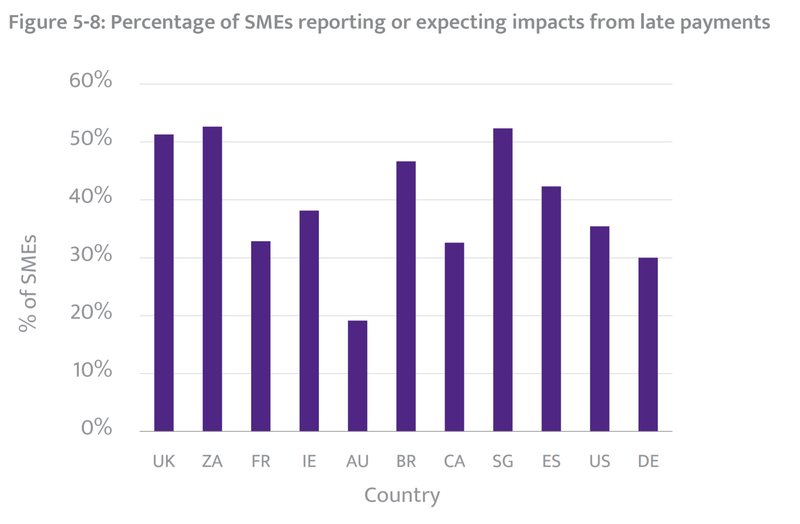 On average 39% of SMEs reported or expect impacts from late payments. In Singapore, 52% of SMEs are either experiencing some impact from overdue payment or foreseeing the upcoming challenges. 3.1 Impact on cash flow. Inability to inject investment into the company. This includes the inability to add a new product line or expand into a new area. SMEs are unable to take on new contract/project due to lack of cash flow. SMEs are forced to reassign their precious limited resources to chase late payments from their debtor(s) instead of carrying out their day to day operations and/or sales activities. Thus, slowing down their growth. As a result of the collection process, SMEs will also incur monetary costs. Such cost includes administrative fees, legal fees and a deduction of revenue. 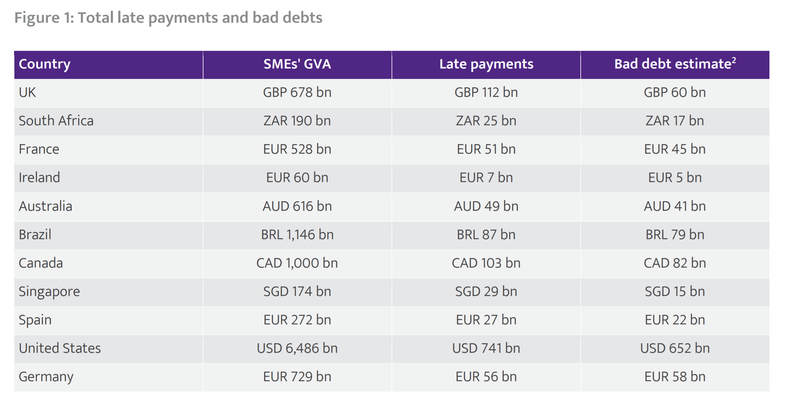 In Singapore, SMEs spends almost $4,000 a year chasing late payments from their debtors. These financial costs incurred could have been channelled into other areas which could allow the business to grow. In the absence of financing facilities, SMEs would have to tap on their cash reserves to ensure that their daily operations are able to run smoothly. 37% – no dedicated resources to manage and handle collection activities. This could be due to the SME’s inability to freely collect late payments from their customer as they need to protect their working relationship with them. Therefore, there is insufficient justification to deploy a dedicated resource to carry out collections. Invoice Financing is a cash flow solution that has been been widely used to help businesses smoothen their cash flow. Businesses are able to control of their cash inflow better as they now have the ability to convert outstanding invoices into cash as and when they need to. This allow businesses to meet cash outflow demand, being operating expenses, salary or paying suppliers.